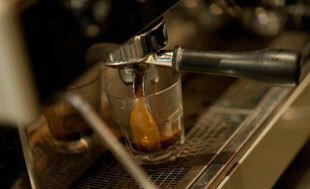 If you're like most cafe owners, the profitability of your cafe depends on your ability to work in the business. If you couldn't work in the cafe for a few months - or a few years - would the business stall make enough money to pay your full time wage? The answer in many cases will be no, and unless you have a big pile of money sitting around you could be left facing financial hardship. But there's no need to fear this, as cafe owners can protect themselves from this scenario with income protection insurance. Whilst income protection is not generally considered to be a form of business insurance, it is still mighty important for anyone who runs their own small business. Income protection can replace up to 75% of your income in the event that you are unable to work for a period of time due to an injury or illness. The insurance is designed to ensure that you can still look after yourself and your family even though you can't earn an income from working in your cafe. Each policy will have a waiting period, benefit period and benefit amount. The waiting period is the amount of time you must be unable to work for before you are eligible to claim. The benefit period is the length of time you will be paid for, and the benefit amount is the amount you will receive each month. Will I be able to claim? When it comes to claiming on your insurance, there are some factors that cafe owners will need to take into account. Income protection is about replacing the income that you lose by not being able to work. If not working in your cafe means that you will stop earning an income straight away or within a very short period of time, then your income protection claim should be relatively straightforward. But if your cafe runs in a way that your income would not be affected by your inability to work, then you may struggle to claim on your insurance. If you have built such a successful and well run cafe that you can choose not to work and it will not affect your income or profits, then you probably don't need income protection anyway. Unfortunately this isn't the case for most hard working cafe owners however, and that's why income protection insurance is so important. We've already touched on waiting periods and benefit periods above, but there are some additional options which will also need to be considered. A very useful and popular option for income protection is known as 'day 1 accident cover'. This option means you can start claiming sooner if you are unable to work due to an injury. Another popular option is 'specified injury benefit'. This option simplifies and speeds up the claim process where you have suffered a specified injury such as a broken arm or leg and the amount of time required away from work is fairly predictable. Too see how the specified injury benefit can work for a cafe owner we'll run through an example. Let's say you have broken your arm. Under a standard policy, a doctor may decide that you only need a week off work before returning to light duties. In this case you would not be eligible to claim, as the typical waiting period of 30 days on an income protection policy means that you'd have to be unable to work for 30 days before claiming. But if you have the specified injury benefit option, the insurer will simply pay you an amount equivalent to one month's benefit, irrespective of the waiting period or how soon you go back to work. If you do go straight back to work, then you've done well, but at least the extra month's benefit will give you some breathing space if you need a little longer to get back up to speed. Because income protection is classed as a life insurance product rather than a business insurance product, it is necessary to speak with a financial adviser in order to obtain advice and coverage. An insurance broker can assist you with a similar form of insurance known as accident and illness cover, but generally this is inferior to proper income protection. Here at CafeCover we have a financial adviser we work closely with who can assist cafe owners with all of their income protection needs, as well as life insurance, TPD and trauma insurance if required. To speak with our adviser or just to obtain some quotes, please complete our cafe insurance quote form or get in touch with us via the office.